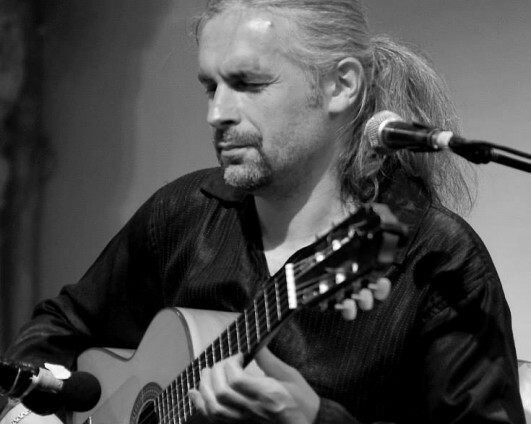 Miguel began playing guitar at the age of twelve, in a flamenco environment in Poland. His international group Indialucia has released two award-winning albums, Indialucia and Acatao, a fusion of flamenco and Indian music. He has performed in more than twenty three countries including most European countries, Asia, and North and South America. He has performed with many internationally renowned artists such as Ernie Watts, Jorge Pardo, Paquito Gonzalez, L. Subramaniam, Domingo Patricio, Pepe Habichuela and many others.